The S510 XTRA is the perfect hunting partner with the ability to choose your power at the turn of a dial. There are many hunting situations where you'll need extra performance and many more where a .22 rimfire is 'too much gun'. Here's where the S510Xtra proves to be the perfect hunting partner. With close to 30ft.lbs. in .22 at your disposal, you choose the power you need at the turn of a dial. Never before has a precharged pneumatic sporter provided such versatility in such an easy-to-manage package. 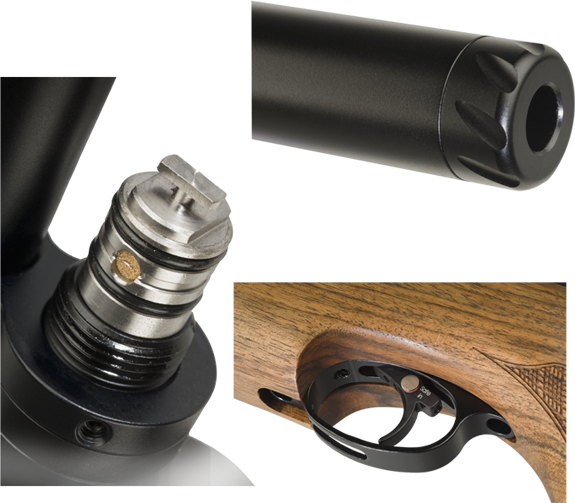 The owner of an S510Xtra gets the full range of Air Arms performance developments, presented in the company's trademark combination of elegant stock and sleek action. Within that action an enhanced firing system delivers high power and full hunting standard accuracy. The match grade barrel is fully shrouded and includes integral baffles which effectively reduce the discharge noise and its threaded muzzle is designed to accept an optional moderator (country dependant). 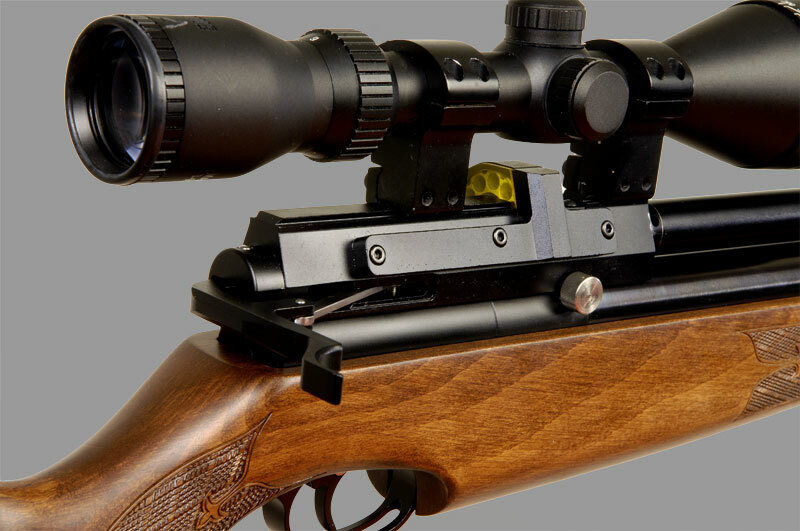 The rifle's action block incorporates a power adjuster, which can instantly set the S510Xtra to produce anything from 7 ft.lbs right up to 28 ft lbs in .22 calibre.